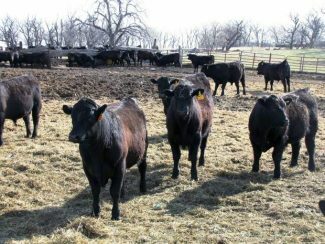 The Wonnenberg family has raised registered Angus cattle since the 1960s. As its mother protectively stands guard, a newborn calf, supported precariously by its wobbly legs, looks curiously at its surroundings and then begins nursing. For four generations, this heartwarming scene has signaled spring on the Wonnenberg Ranch near Dallas, S.D. "From the time I was really small I enjoyed working with cattle and doing chores," said Steve, who raises a registered Black Angus herd, which his dad, William, began in the 1960s. 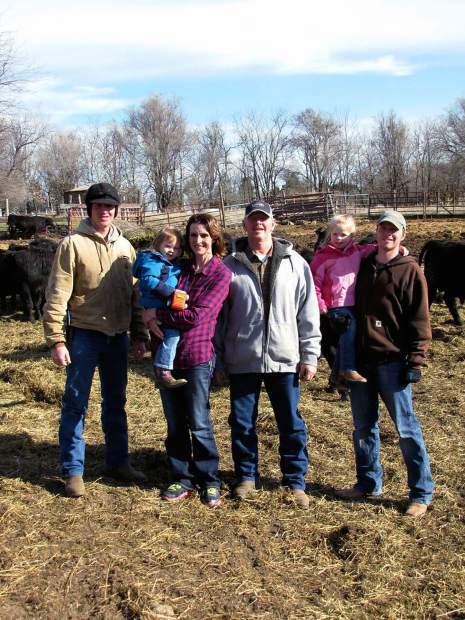 "For their FFA project, my older brothers decided to get into raising registered Black Angus," Steve said. "My dad liked them so much that he kept expanding the herd after my brothers left the ranch." Like his father before him, the third-generation rancher still does business with a handshake. "Our family still has the old mentality where a shake of the hand still means a lot," said Casey Wonnenberg King, Steve and Joan's daughter. "When my dad sells registered Angus bulls, he always tells buyers that if something doesn't work out, he will make it right – and he always holds true to his promise." Today, Casey, 30, and her sister Carly, 26, live in Sioux Falls and have families and careers off the ranch. Casey is married to David King and has a 1-year-old daughter, Camille, and Carley will marry Nate Stuke this summer. Their brothers, Hank, 31, and Andy, 29, ranch with their parents, Steve and Joan. Although each man owns his own cows, pasture, hay and farm ground, the family runs their herds together and shares labor and machinery. "Ever since I was little, farming was all I wanted to do. 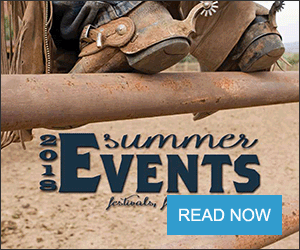 I can't see myself doing anything else," said Andy, who has ranched full-time since high school. "Even when I was playing high school football, I would spend the entire practice wondering what was going on here." Andy's keen passion for ranching was not missed by his parents. "When our kids were younger I wanted everyone to go to college. All the other kids went to (South Dakota State University), but when it came time for Andy to go, I backed off because I knew he wouldn't be happy in school," Joan said. Like her husband, she also grew up on a ranch near Gregory. Andy used his college savings and started a farrow-to-finish, all-natural hog operation in 2002. He used the profits from this enterprise to expand his cattle herd. 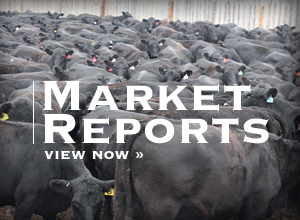 Motivated by high corn prices, he sold his hogs in 2010 to focus entirely on cattle. He also bought Casey's herd after she began her career as a TV broadcast journalist. Following a tradition Steve's dad began, when each of their children turned 14, Joan and Steve let them pick out a heifer calf to begin building a herd which helped them pay for college. "All three of our children graduated from college without any debt," Joan said. Today, Andy runs 250 cows. He and his wife, Aliza, live on the ranch, not far from Joan and Steve's house with their 1-year-old twins, daughter Meadow and son Morgan. Similar to his younger brother, Hank wanted to return to the family ranch. Also like his brother, Hank knew he needed income to help him get started. "I knew dad didn't have room for me to stay here, so when I was thinking about college majors, I knew I needed to think of something that I could go into which would allow me to come back here," Hank said. "I knew with an ag business background there would be opportunities close to home." Hank now works as a business development officer for BankWest in Gregory. Hank lives with his wife, Melissa, and two young daughters, Elizabeth, 4, and Lydia, 3, within sight of his parents' home. The couple moved a house onto 5 acres of land less than a mile from the homeplace and renovated it. Living close to the ranch allows him to help with chores and calving on nights and weekends. Four generations ago, John Wonnenberg, a German immigrant from Russia, purchased the land where the Wonnenbergs ranch today. Initially, wooed by abundant wildlife and duck hunting, the first place John bought was south of Winner on Dog Ear Lake. He carved out a living raising potatoes and selling sauerkraut, which he made from cabbages he raised. "He was quite the gardener and actually traded potatoes for his first car," Steve said. In 1930, John sold the Winner place to purchase the ranch near Dallas. This is where Steve's dad, William, was raised, and where William and his wife, Alvin, raised Steve and his four older brothers. "Right after my dad was married, the land where our house sits today came up for sale. My grandpa encouraged him to buy it, but Dad couldn't come up with the $5,000. So, Grandpa bought it and dad eventually bought it from the estate," he said. When Grandpa John ranched, he raised dual-purpose beef cows, milking them so he could sell their cream, which was a practice common in those days. Steve's dad, William, began focusing his beef herd's genetics on meat production and began purchasing dairy cows. William was one of three men who helped launch a milk cooperative in the early 60s. "Dad started selling bulk milk to a cheese plant in Armour in the early 60s," said Steve, who to this day remains a loyal co-op member. Steve and Joan have milked together for 33 years, until this March when they sold their small milk herd of about 40 dairy cows. "Milking together makes for a close knit family and you get attached to the cows – they become like friends who you see twice a day," said Joan, who began spending less time in the parlor and more time taking care of grandkids about three years ago. "Friends who kick you once in a while," Steve joked. "No really, we didn't have numbers for our cows, they all had names." All four children grew up helping their mom and dad with daily chores. "Milking cows definitely taught us all responsibility and a strong work ethic," Hank said. "Even when we were young, mom and dad found chores for us. Andy and I were bringing in cows from the time we were 8." As they were growing up, several of their older neighbors also milked small dairy herds, so the Wonnenberg kids were in high demand to fill in when these neighbors took vacations. "One summer, I remember Andy and me milking for two neighbors. It was during summer football morning practices, so we'd get up at 3 a.m. so we could get all the milking done before practice. I remember guys complaining about getting up at 6," he said. Now that the milk cows are sold, the family has more time, space and resources to expand their registered Black Angus herds and maybe market more of the commodities they raise. Even with the milk cows, the family was able to raise most of their own feedstuffs, including dryland corn, grass hay, alfalfa and oats. They only purchased dried distillers grain to supplement the feed ration. Since the beginning, they have focused on raising high performing genetics which exhibit strong maternal, as well as paternal, traits. The family sells breeding stock during their annual private treaty sale. "When we purchase a herd sire, we don't just go by what the bloodline for the bull is; we look at the production history of the cow as well," Steve said. "Our breeding stock is known for their calving ease and good maternal traits." Hank added that their herd is also known for a gentle disposition. "I think working around dairy cows all the time, us kids learned how to work cattle from a very young age – people are always impressed with how we move our stock cows," he said. The men also hand wean calves. Instead of a feed and mixer wagon, they use buckets. "Its way cheaper and your cattle are so gentle because you are the one filling the feed bunks," Andy explained. Expanding slowly over the last four generations and working to keep input costs and debt as low as possible has helped the Wonnenbergs get through tough times. "We have never gone for the large, expensive machinery and we aren't extravagant spenders – that and a strong faith and hard work keeps a family going on the farm," said Steve, who learned to weld at a young age. "We also repair a lot of things ourselves. We've all been known to use baling wire." Another benefit Steve noted to using older, smaller machinery is the fact his kids could run it when they were young. As an 8-year-old, Hank remembers cultivating corn with a little two-row Ferguson tractor and cultivator. "If the tractor would die, I would get off, put it in neutral and turn the crank. Sometimes I had to walk home because I couldn't start it," he said. Sitting around the table in Joan and Steve's dining room, Hank's young daughters playing nearby, it's easy to see that this family enjoys spending time together and the ranch lifestyle. "Living this far from town, we spent our time here, outdoors, playing with our brother and sisters, not playing video games; we want to raise our families that way too," Andy said. "Because we didn't get to run to town to hang out with friends, it made us all appreciate family life. We relied on each other for entertainment and help with chores. Even today, I realize that my family are my best friends. I continue to rely on my siblings and my parents," said Carly, who works as a registered nurse in Sioux Falls. Today, Hank and Andy are building on the family's ranching legacy, hoping to one day welcome their own children into the family business.